We are available, at your convenience, to provide a Free estimate for paving services. Installing a driveway for your home is a major investment. Driveways are also an important element in the value of your property. You can turn to our paving contractors to carefully install your new asphalt driveway to the highest standards. Once you’ve invested in quality asphalt paving, its time to take a look at what type of maintenance is required. We take care of your asphalt by providing maintenance services that include sealcoating. This process protects your asphalt from sun and moisture damage and if performed periodically it will substantially increase the pavements lifespan. 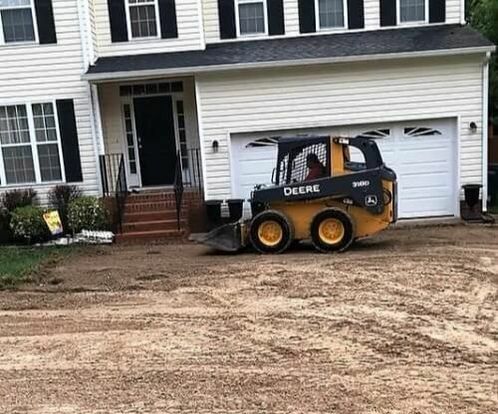 Replacing your driveway can cost thousands of dollars out of pocket. If you want to avoid that scenario, then we highly recommend investing in residential driveway repairs. When you notice cracks, damage and potholes, give us a call ASAP- perhaps we can prevent a replacement. We also provide specialty paving services such as sidewalks and pathways. Beautify your property with our extensive list of residential paving services. 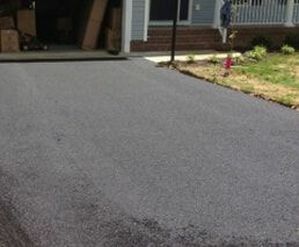 County Line Paving in Goochland, VA is your go-to spot for premium, trustworthy, and high quality asphalt paving services. From driveway installations to maintenance and specialty paving projects, you can rely on us for the best service and result possible. For your free residential paving estimate give us a call today. Sealcoating is the process used to protect your driveway. There are many formulas available to professional paving contractors that are not sold in a big box store to homeowners. A good local asphalt paver will be able to explain which one would perform the best for a client's unique situation. 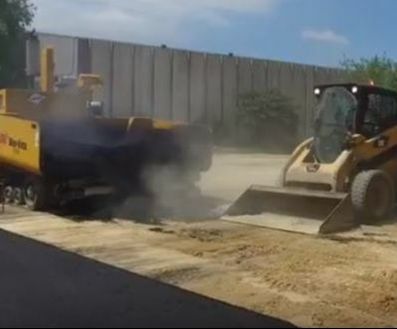 Click if your a property owner that needs Commercial Paving Services. A robust pothole begins with cleaning out the hole down to the gravel layer and repairing that too if necessary otherwise the hole will appear again a short time later. Pavement preparations for repair is as important as the repair itself- you won't have a successful long-lived result without a good job with both. To find out what your maintenance will cost, give us a call to inquire about driveway repairs and or sealcoating cost and we’ll give you a free estimate. ​We specialize in all types of residential paving services and are happy to provide specialty paving services at you request. Reach out to us today for a free estimate. 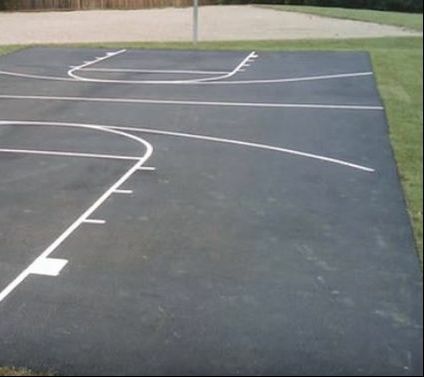 If you’re looking for a new basketball court for your home, we can help. We have extensive experience in building a variety of sports surfaces. 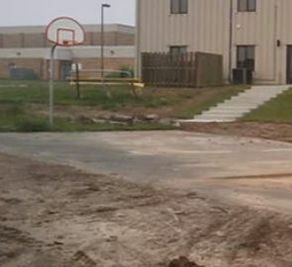 From the base to the top layer, we take extra care to pave your basketball court correctly the first time. Asphalt is the material of choice for residential tennis court paving. It’s cost-friendly and provides long-term reliability for your sport. Asphalt requires little to no maintenance over the course of its life and it looks great. From grading to excavation to resurfacing, our team can happily offer you residential tennis court paving services. 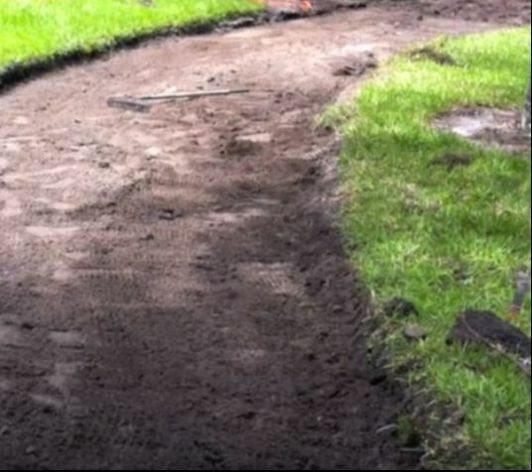 Looking to build a pathway in the backyard? 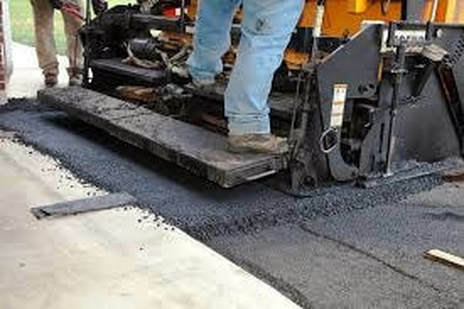 Our crew can provide durable asphalt paving services to cut an attractive robust path through your property. Ready to get a free quote for your specialty paving project? All you have to do is give our high quality paving contractors a call at Countyline Paving in Powhatan, VA.
For more information about our specialty paving services in Powhatan, Goochland, Amelia, or Cumberland, VA give us a call today. We are happy to answer any questions you may have. Click here for our paving Service Locations!